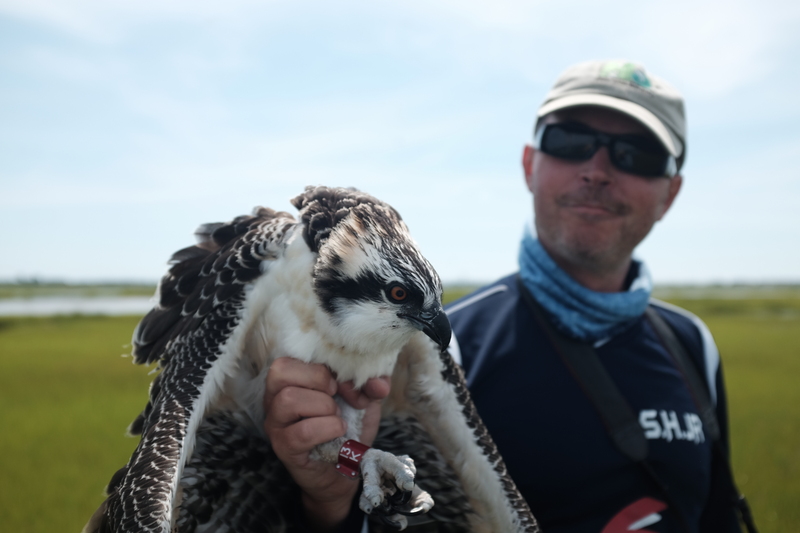 CWF Osprey Banding Apprentice Northside Jim holds a young osprey, 13/K, after banding. 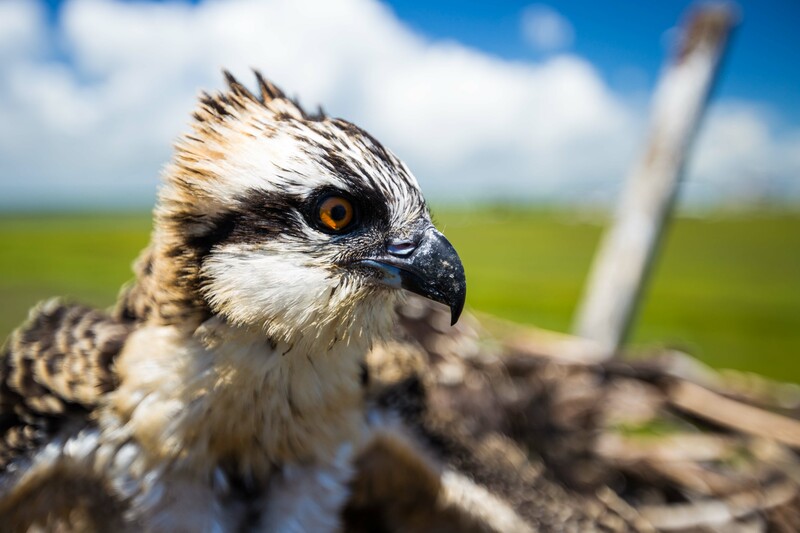 Mid-summer marks the nestling period of nesting ospreys, a coastal raptor, whose diet consists mainly of fish. 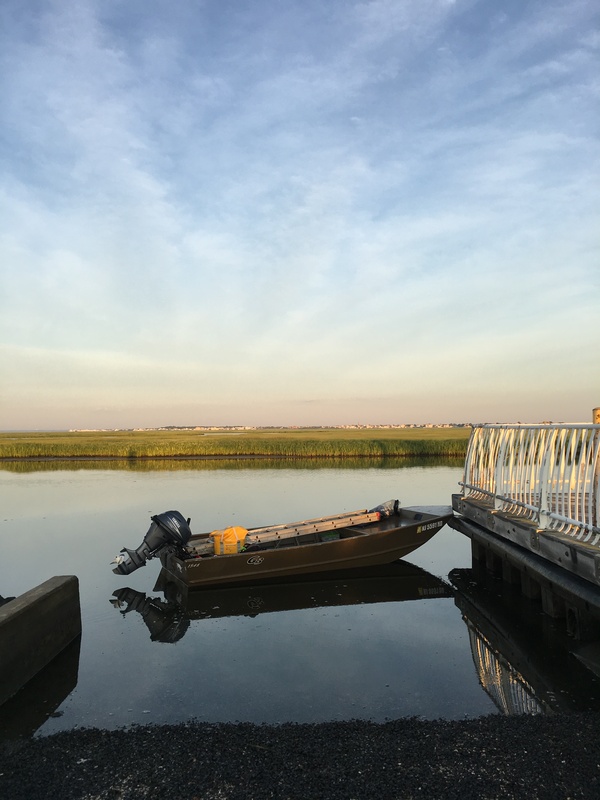 As a state that’s heavily influenced by its location along the Atlantic Ocean, they play a critical role in our coastal ecosystem. 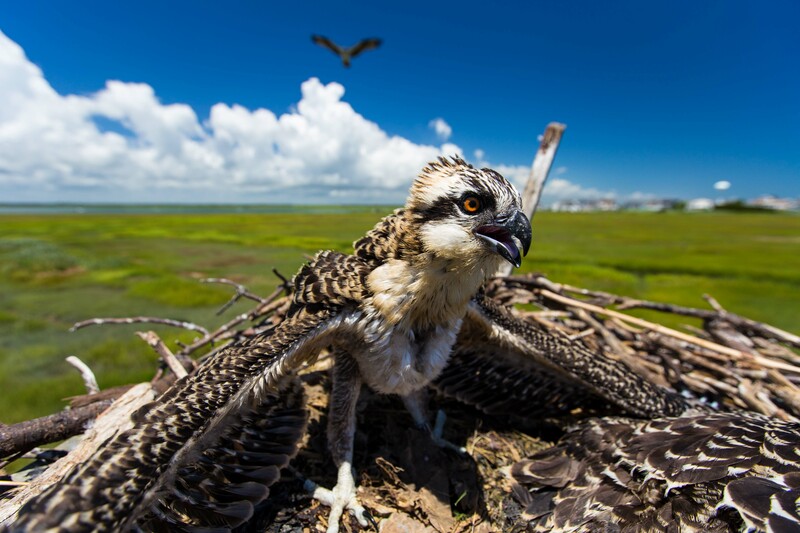 Ospreys are important bioindicators of the health of our coastal waters, through the lens of their prey, where pollutants are biomagnified through the food chain. 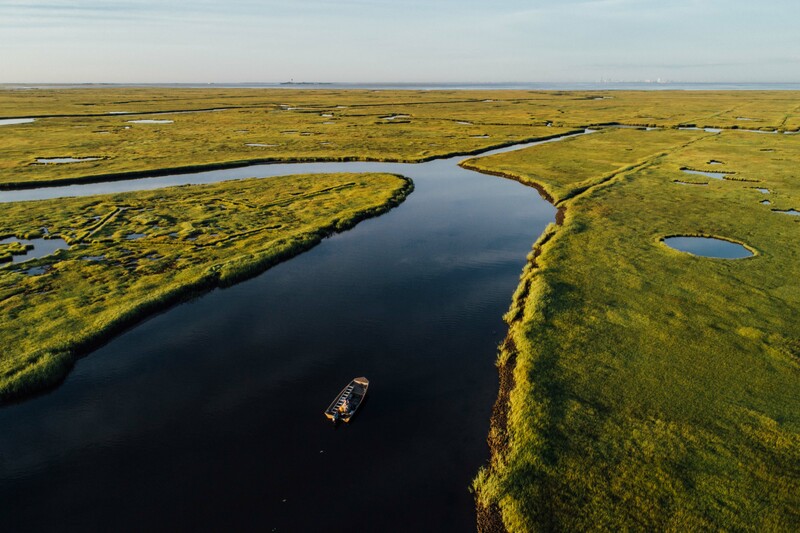 As we consume many of the same fish, they show the effects of these pollutants long before humans, so the health of their population has implications for our coastal waters and us! 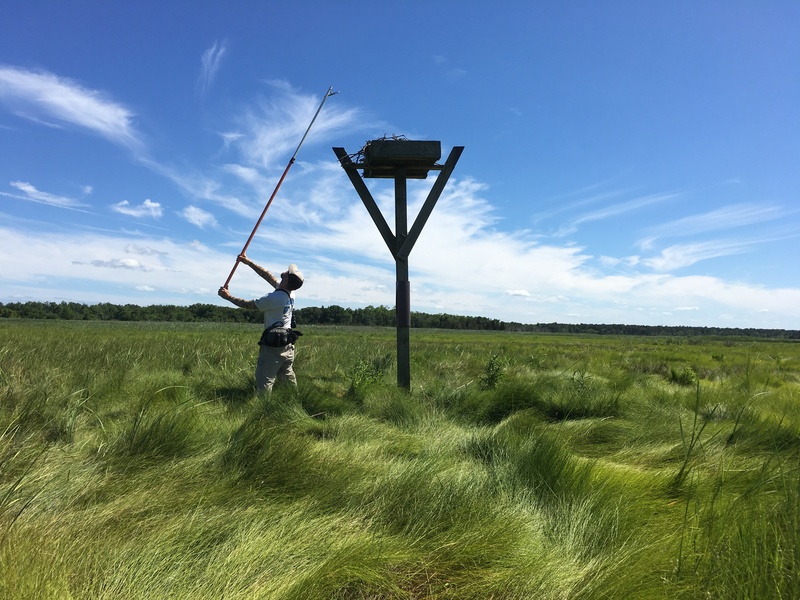 Starting a survey on the Great Bay marsh. 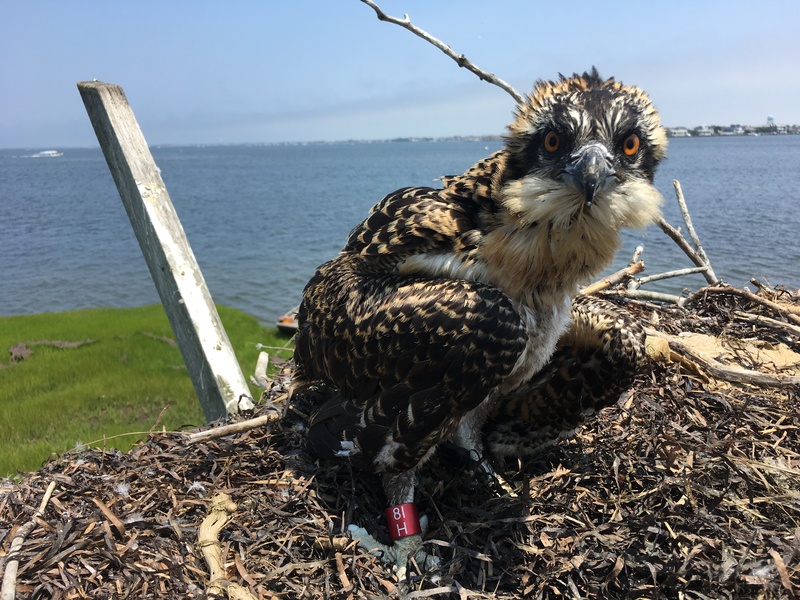 During mid-summer, nests are surveyed by specially trained volunteer “Osprey Banders” who devote their time, boat, and fuel to assisting us and our partners, including the NJ Division of Fish and Wildlife – Endangered and Nongame Species Program, who have been conducting these surveys for the past 45 years. We have played a larger role in coordinating these surveys over the past 10 years. 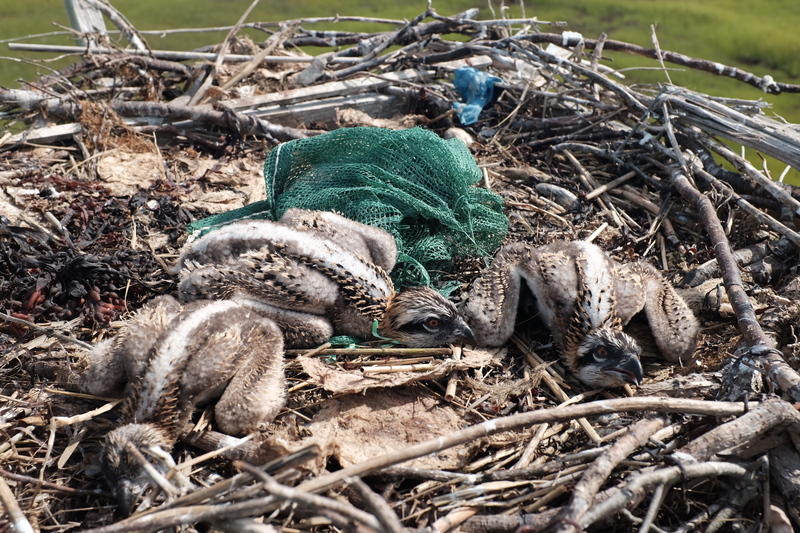 Our goal is to reach enough nests to estimate the health and status of the state population. 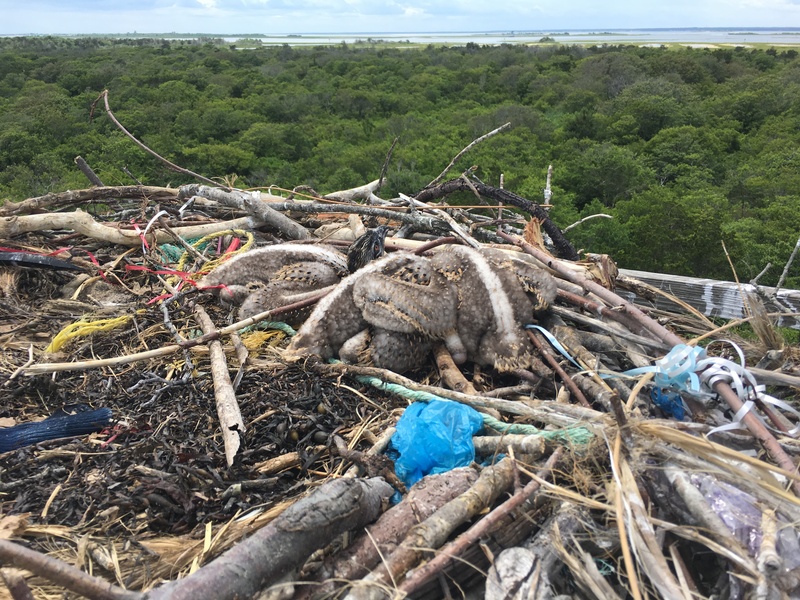 These surveys are conducted when young are still flightless but old enough to be banded with a federal migratory bird band (~3-5 weeks old). 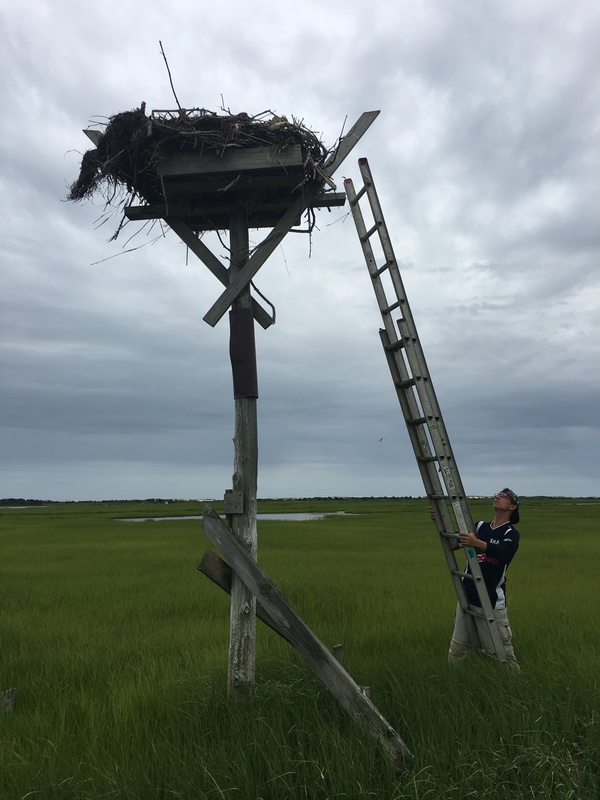 CWF Volunteer Dylan positions a ladder on a nest at Sedge Island. Last year a statewide census was conducted, for the first time since 2013, for a more accurate representation of the overall size of the state population. 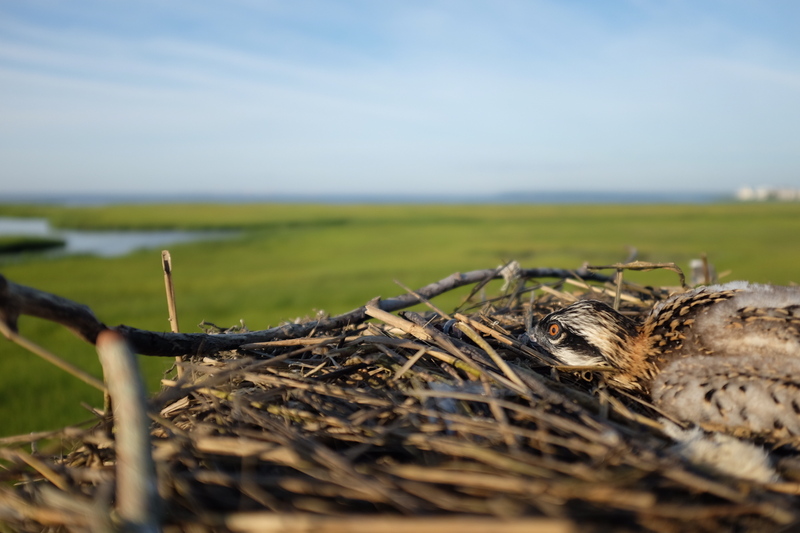 The annual survey this year was much less intensive and done to simply track annual nest success in the most densely populated nesting colonies. 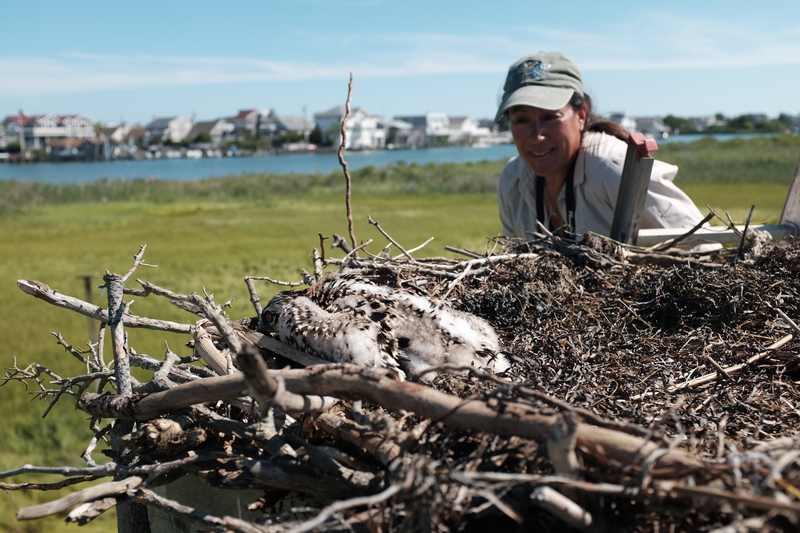 I’ve been conducting osprey nest surveys and banding for the past 14 years and survey nests on Barnegat Bay-Little Egg Harbor, Great Bay-Mullica River, and Absecon Bay. 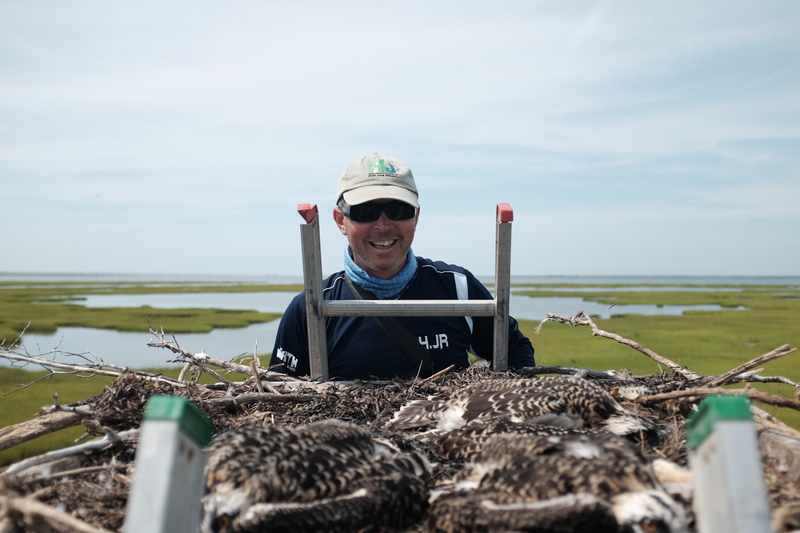 For the past four years I’ve concentrated much of my surveys on Barnegat Bay, whose population has grown from 40 nests to over 140 in the past ten years, to band as many young with red colored auxiliary “field readable” red bands. 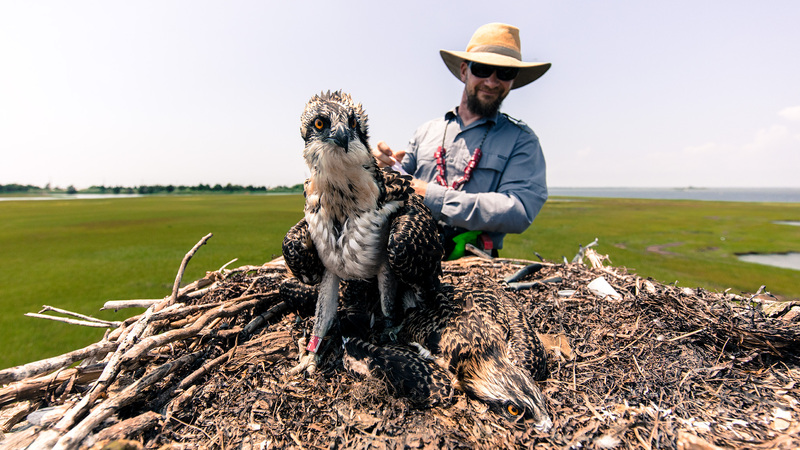 These “elite” ospreys are banded as part of Project RedBand, which is an osprey re-sighting project. 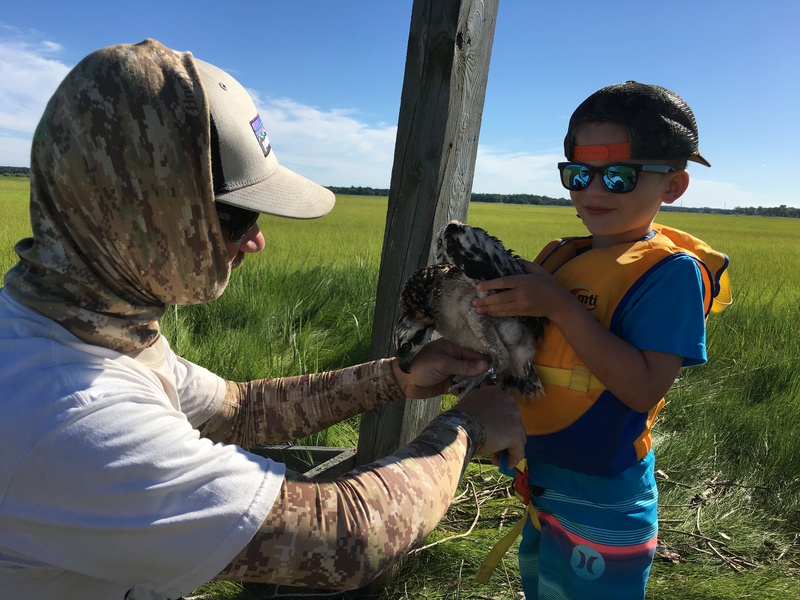 It began as a way to help gain more insight into the lives of Barnegat Bay ospreys and to engage coastal residents and visitors in their management and conservation. Starting at dawn on Great Bay Blvd. 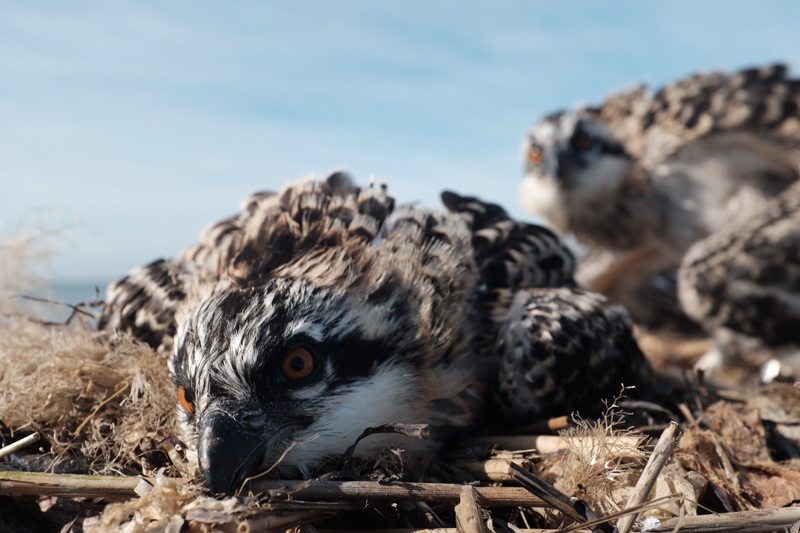 As I enter data from surveys this year, I believe ospreys had another great year. Weather has been optimal, with no high wind events. Prey has been plentiful, as observed at many nests, including all with nest cameras, which had large brood sizes. I was not able to reach all areas that I cover this year, but felt that data I collected will help estimate overall health. 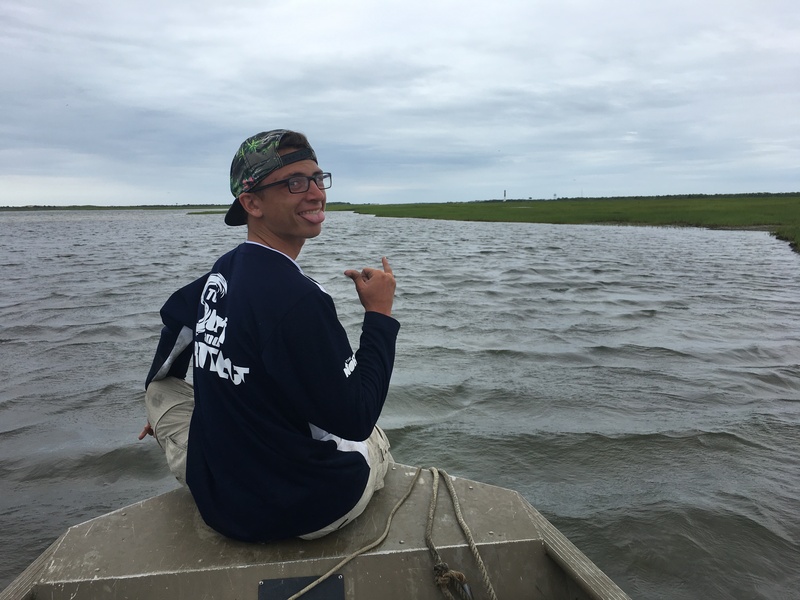 This year the ability to use a 17′ center console boat was lost. Previously, this allowed us to cover larger areas, in rougher weather, in a shorter amount of time. 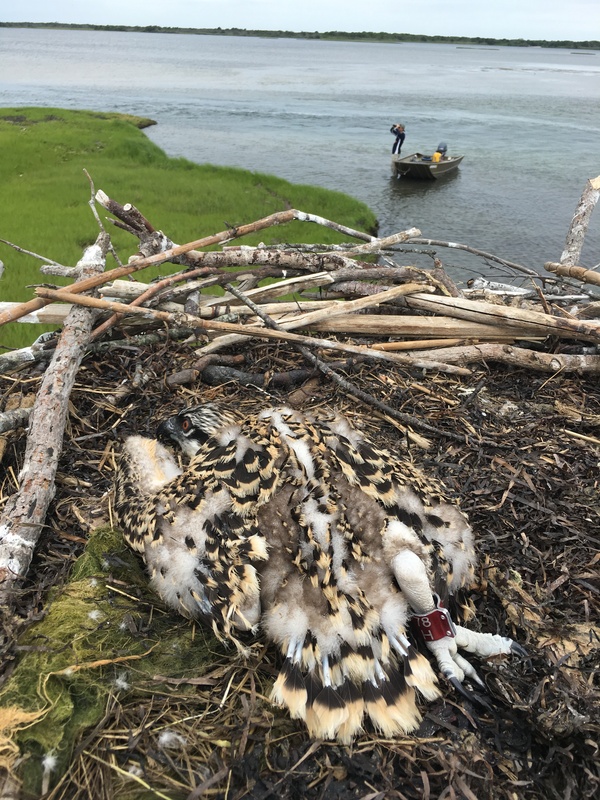 CWF hopes to fundraise to purchase a new (larger) boat to use for future surveys and to engage more of the public in osprey management. Overall, I’d say that productivity (a measure of the health of the population) will be around what we’ve seen over the past several years. If we look closer, in some areas like Sedge Island and Great Bay, we will see slight declines. 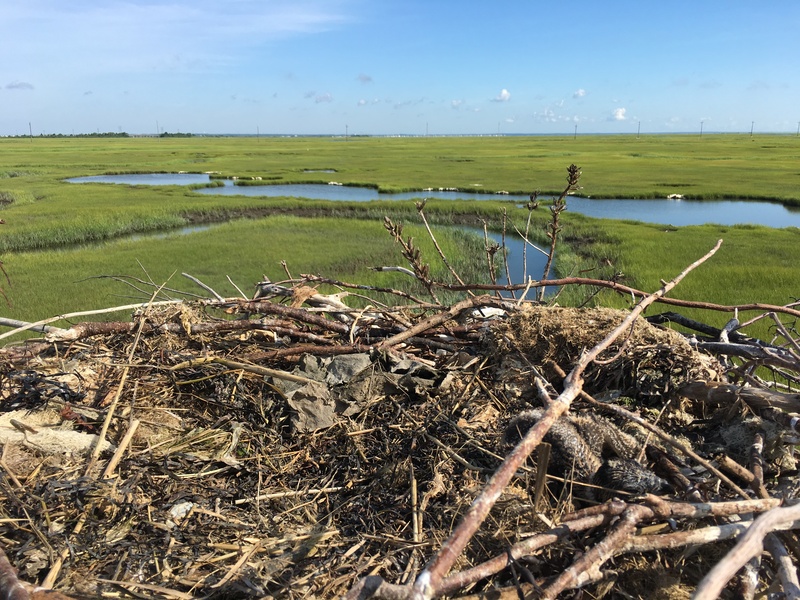 Nests on the Mullica River seemed slightly more productive this year than last. On Great Bay, a pair of eagles nested within the osprey colony (with around 20 nesting pairs). Immediately around the eagle nest, most nests, which are usually active and productive, had few young, dead young, or were now inactive. 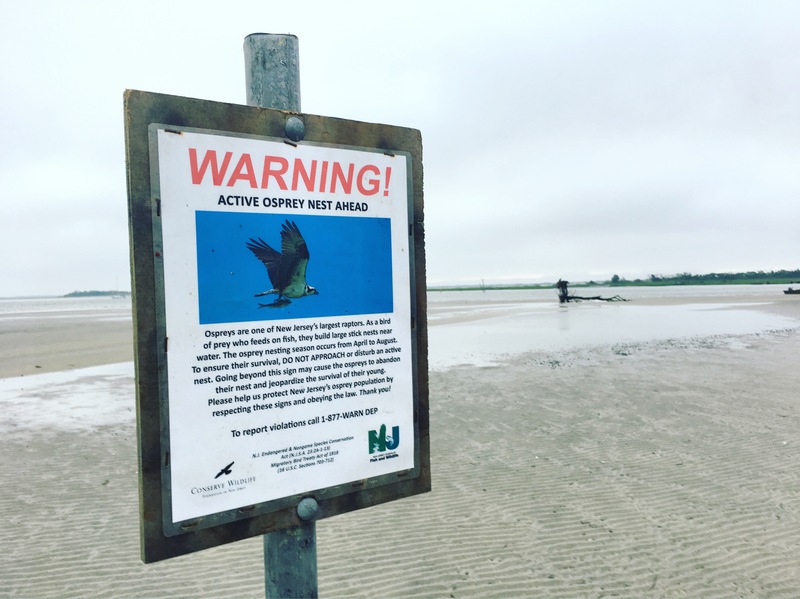 An interesting thing to witness and document, since the eagle population is rising and may cause additional osprey nest issues in the future. Nest with only one nestling, which is right next to the eagle nest. At some nests B. Bay, predation by raccoons was high this year. It seems that these efficient ground predators are doing damage at many nests which are connected to the mainland. 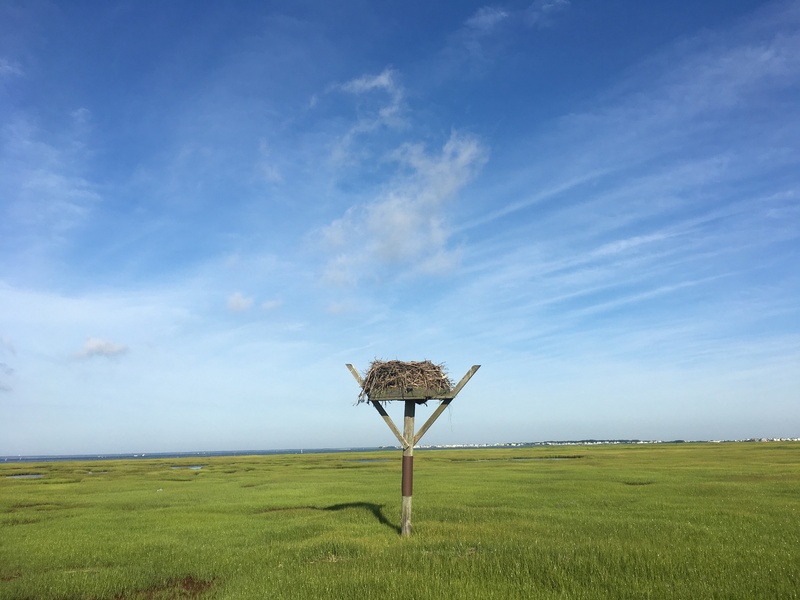 On one early morning survey off Barnegat, out of seven active nests, only two nests produced 5 young total. Dismal results for a survey…but hope is not lost. 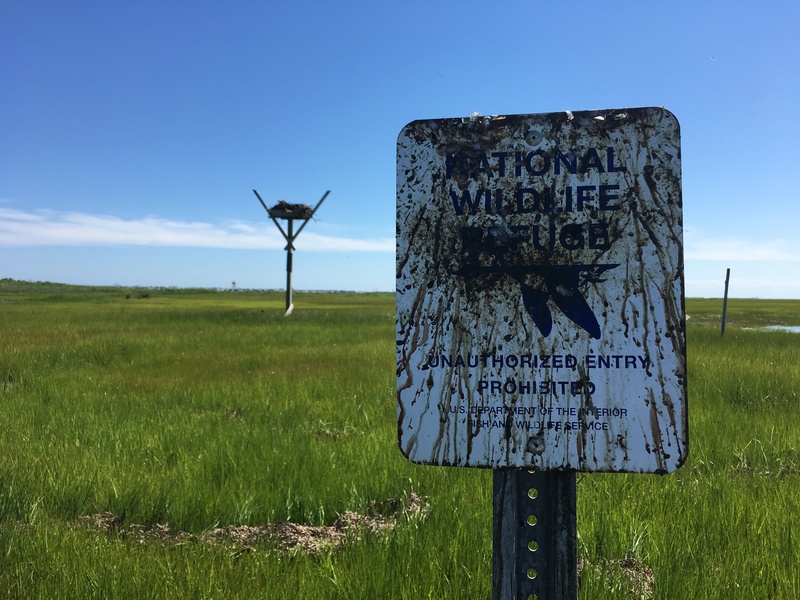 It’s no surprise that raccoons are flourishing with all the human development and abundance of food for them in the marsh, but this is not their original habitat. We’ve pushed them into these wet areas and they’ve adapted. 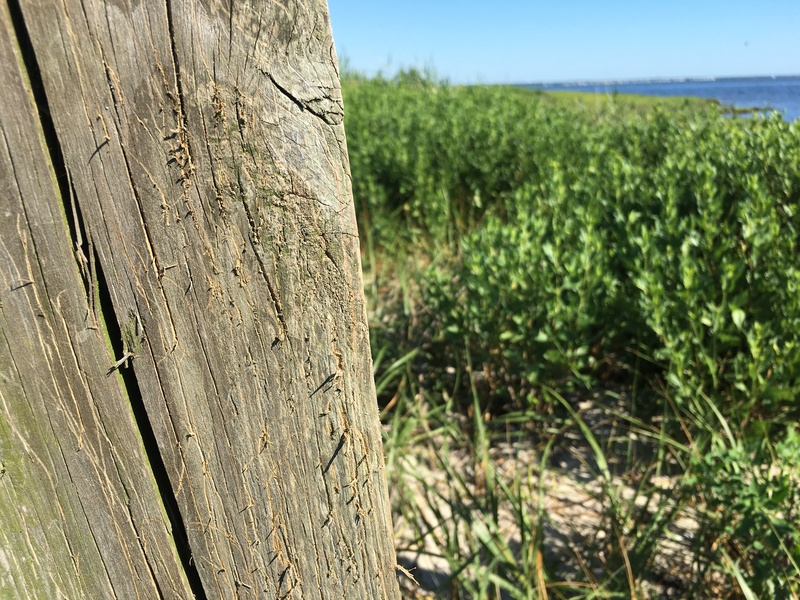 It might be time to start controlling some of them in areas where we see indications of their predatory activity (tracks/claw marks on poles). Reduce your dependence on single use plastics: bring your own bag, containers, water bottle, and recycle what you can’t reuse. 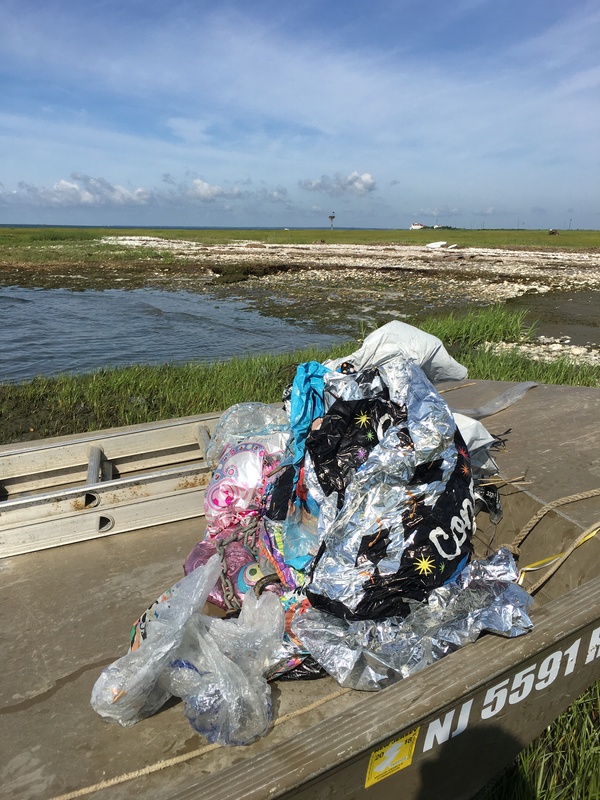 Pick up plastic litter that you find on the beach or bay and dispose of properly! 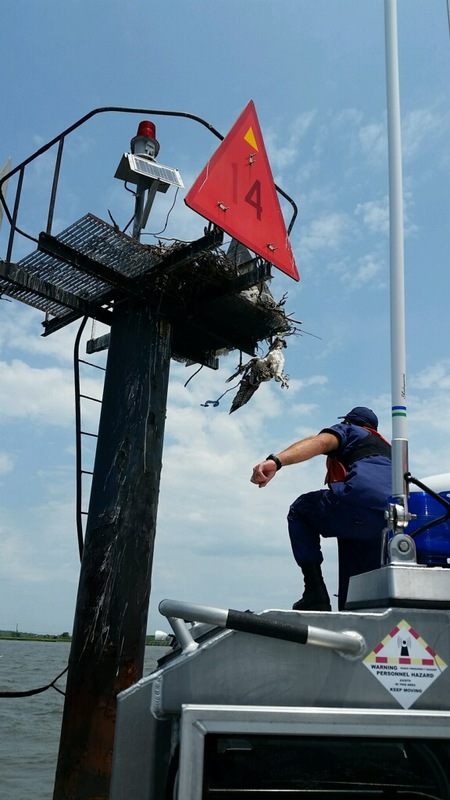 Kathy Clark enlisted help from the US Coast Guard to investigate an osprey that was reportedly handing by monofilament from a channel marker in Cape May Harbor. 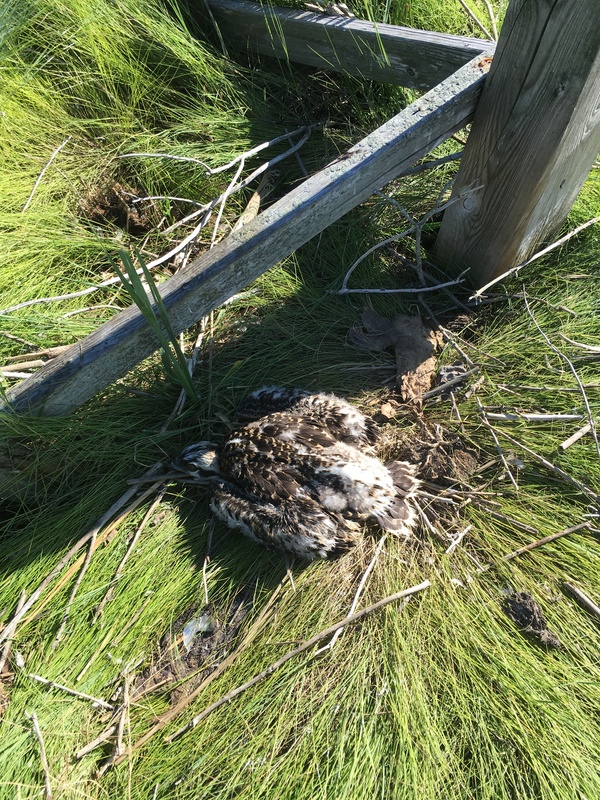 Sadly, the young bird passed away before being found. photo by Kathy Clark. 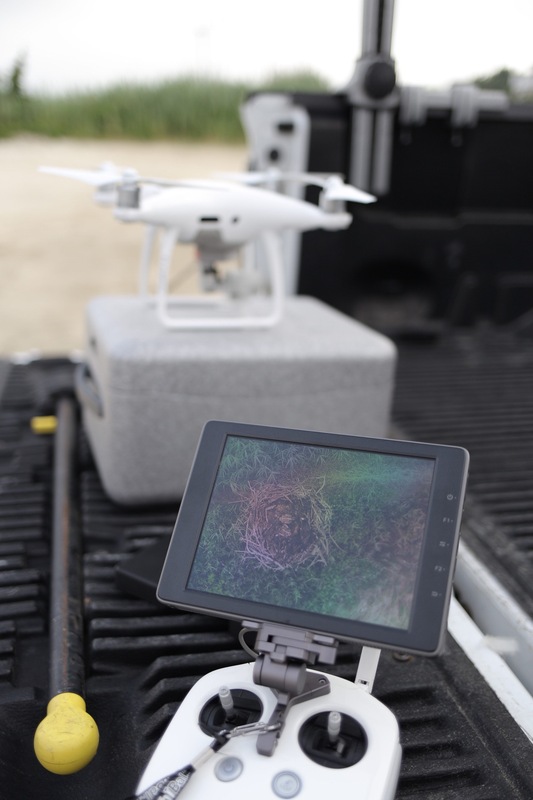 Lastly, we began testing the use of UAS/UAV/drone to survey active osprey nests. At one site Northside Jim made a video to show how this piece of equipment was utilized. Disclaimer: Do not attempt to use your drone to get these same photos or video. 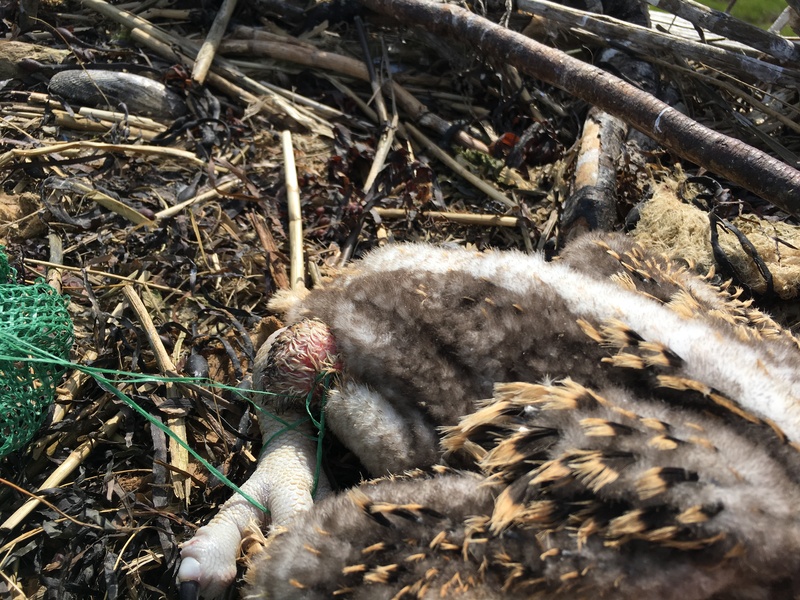 Harassing wildlife using a drone is illegal and you could trash your expensive drone! 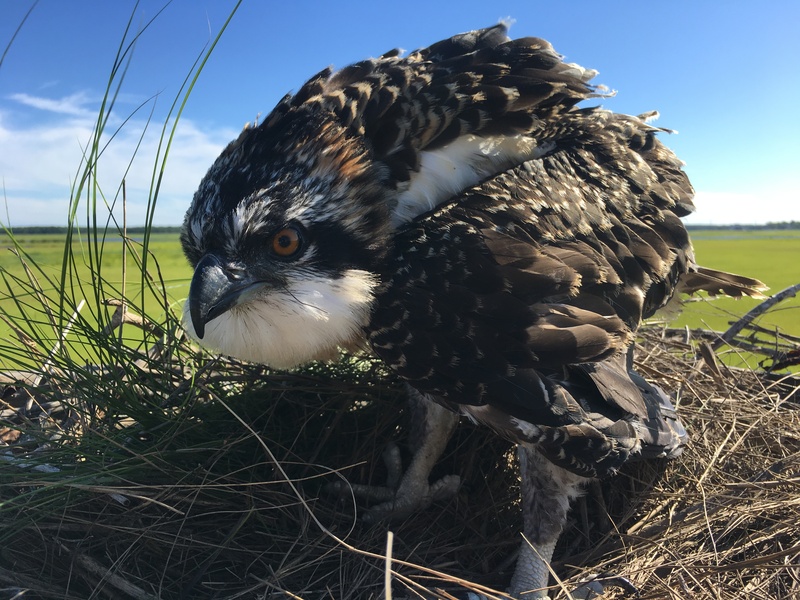 Full results from the 2018 Osprey Project Survey will be published in late 2018. 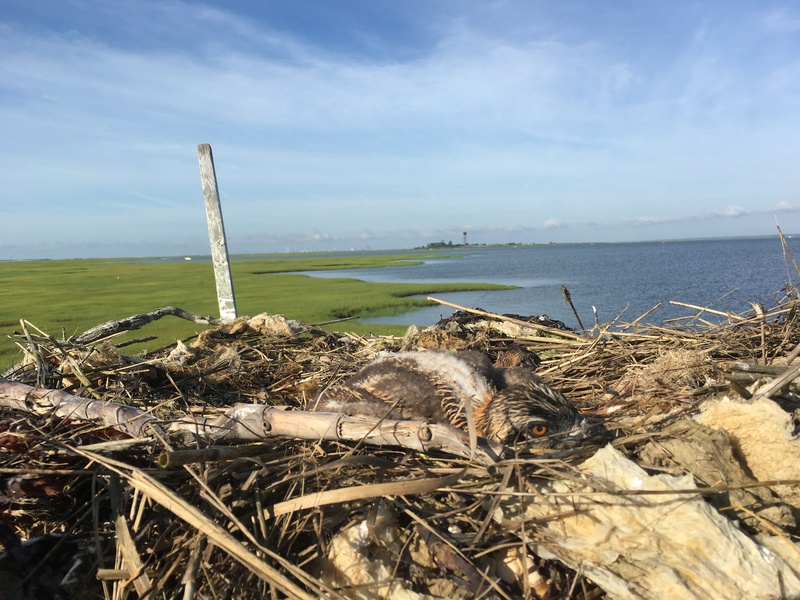 Continued monitoring of osprey nests and maintenance of their nesting platforms is crucial to their long term sustainability. 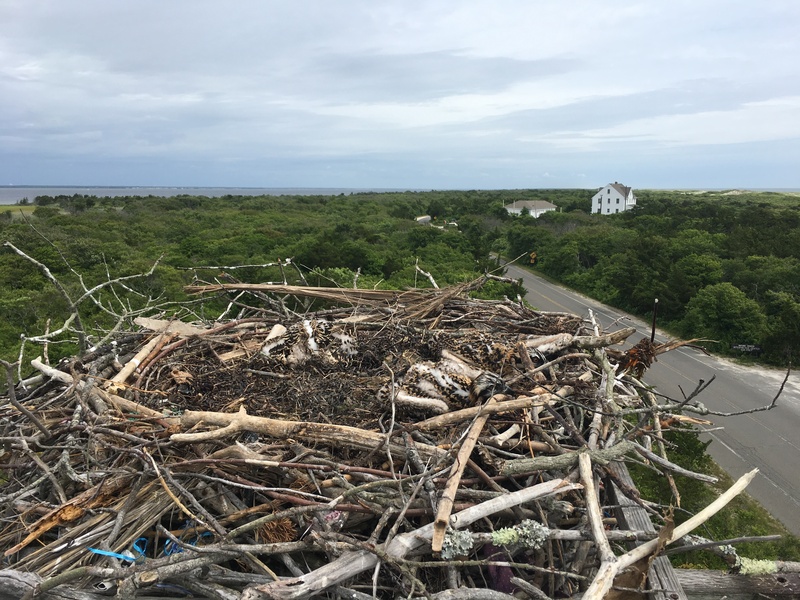 Our work will continue as we move into the fall and maintain many of their aging nest platforms. 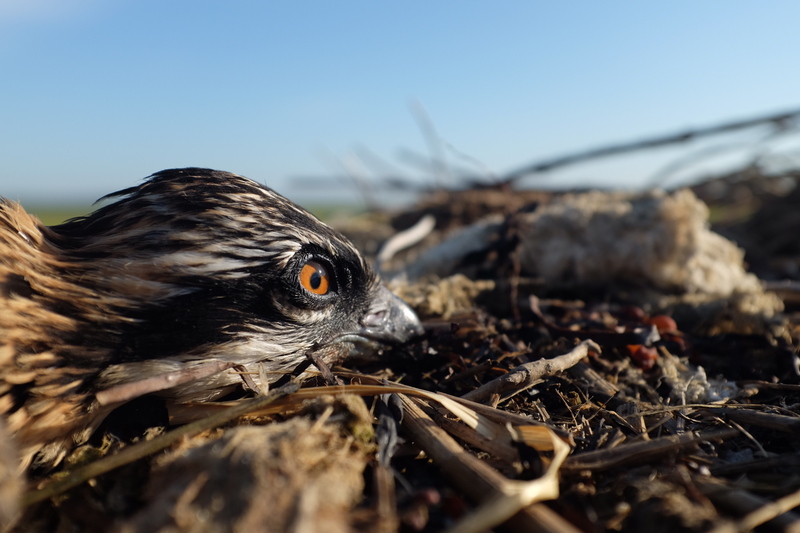 All in all, it’s safe to say that ospreys will continue to do well if we continue to care for and protect our coastal environment. We don’t get any dedicated financial support from any government agency! Donate to support it!! 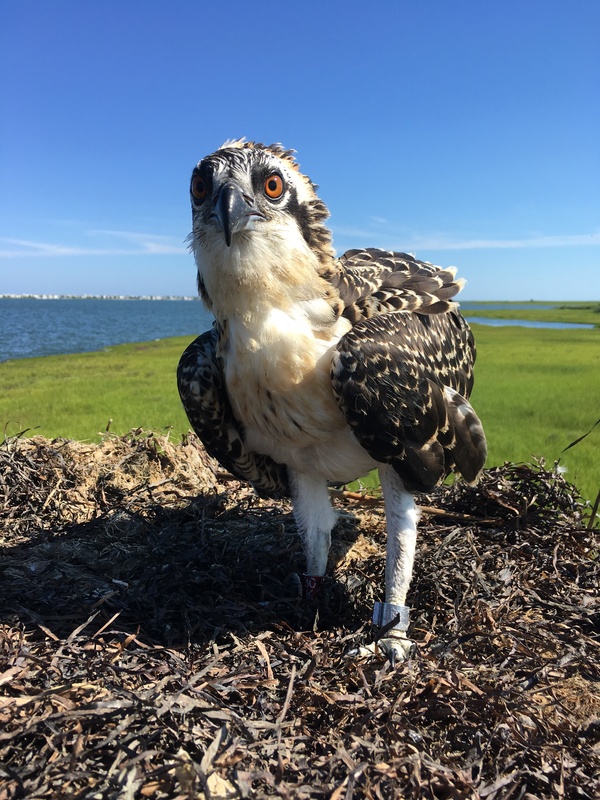 Osprey 30/K, the last elite red banded osprey in NJ this year. 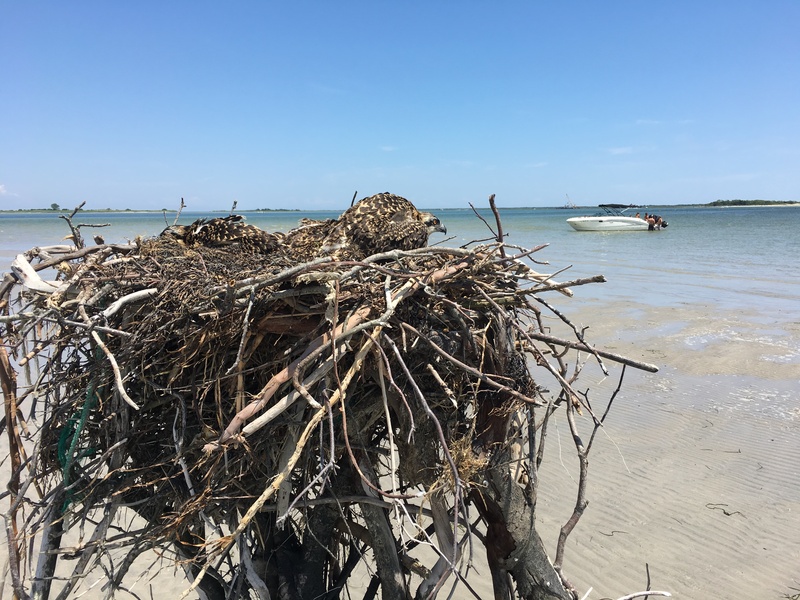 One nestling at a nest on Mordecai Island. 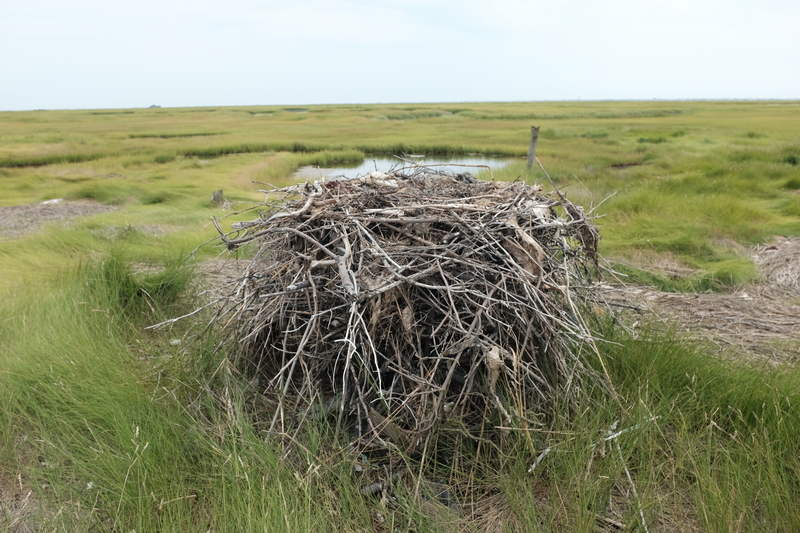 A rare ground nest, which is where many historically nested. Predators make these sites very poor nowadays. CWF Intern Megan holds a 6 week old nestling on LEH. 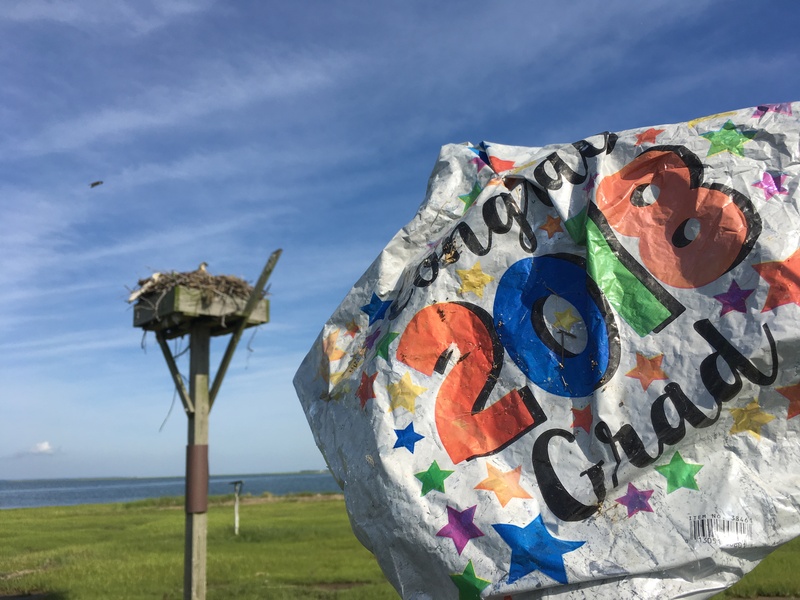 A balloon found near an active nest. 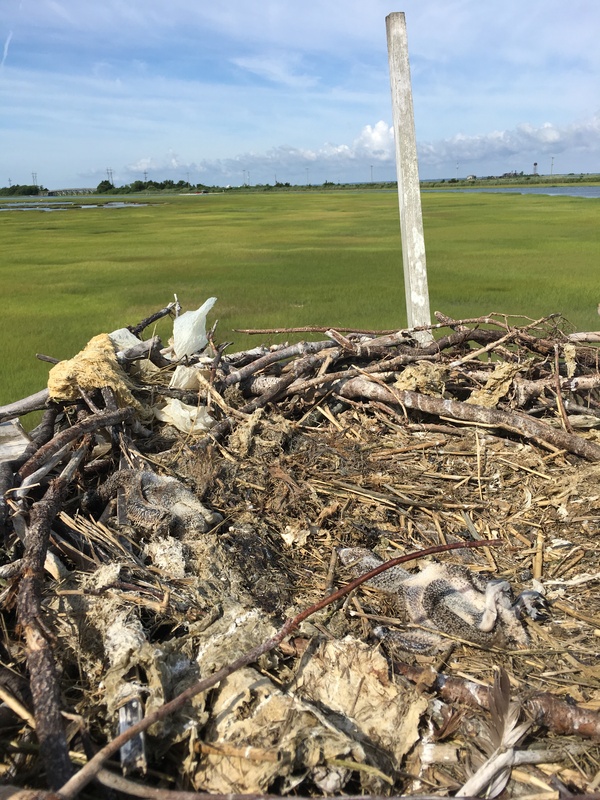 Active nest with two dead young. 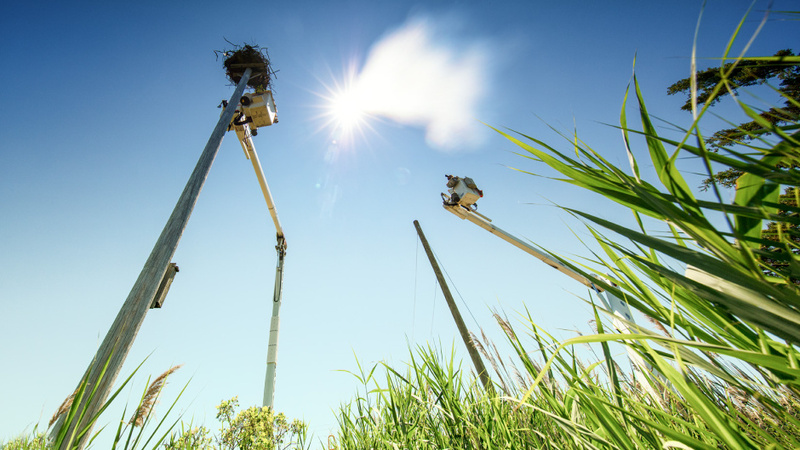 Banding at a tall nest with help from AC Electric. Photo by Northside Jim. Separate perches are used by males to fee after a successful hunt. 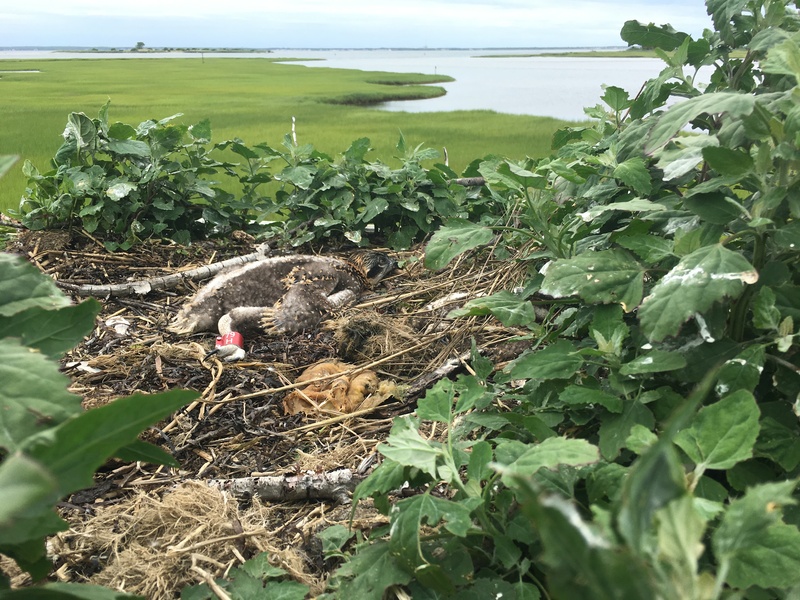 Nestlings and plastic debris. One is entangled in the red ribbon. 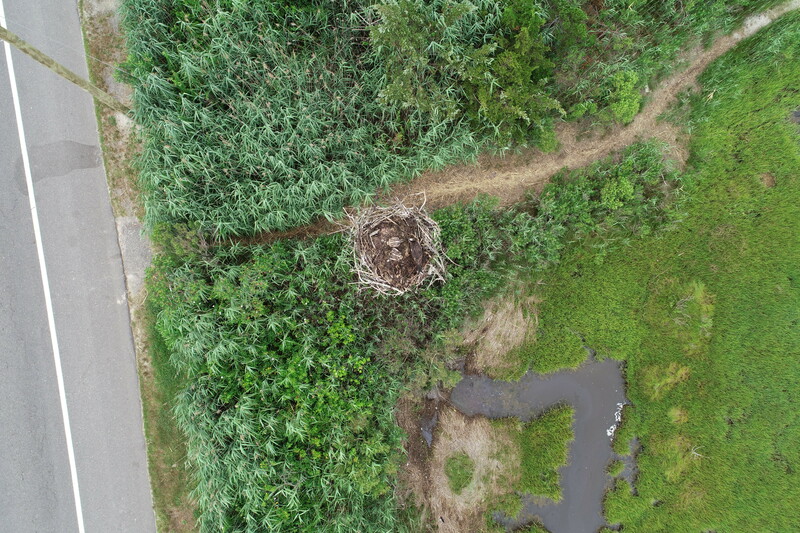 Aerial view of an active nest. 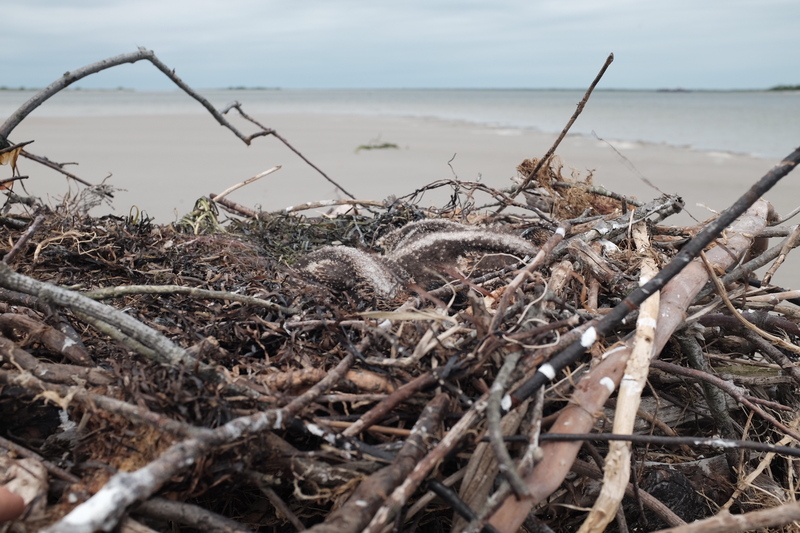 A nest with excess nesting material. 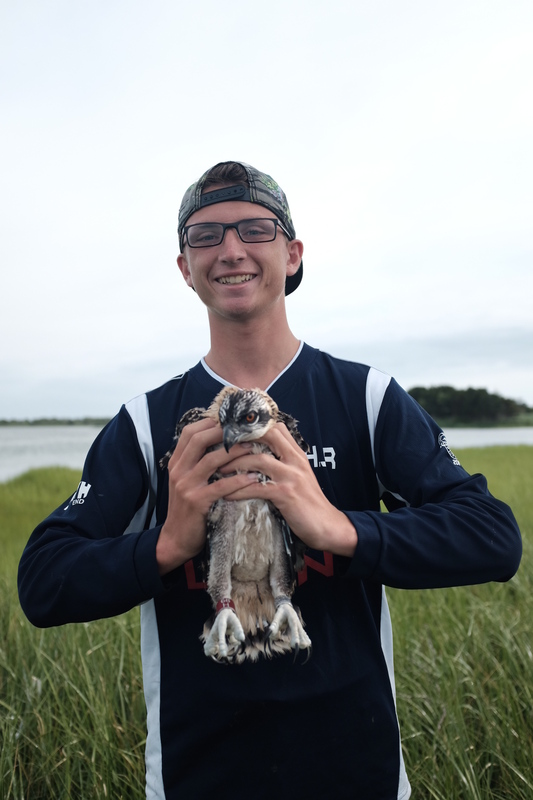 This entry was posted on Monday, July 30th, 2018 at 3:08 pm	and is filed under Birds, Fish, Get Involved, Marine, osprey, Wildlife News, Wildlife Protection. You can follow any responses to this entry through the RSS 2.0 feed. Both comments and pings are currently closed. Great report and pictures. 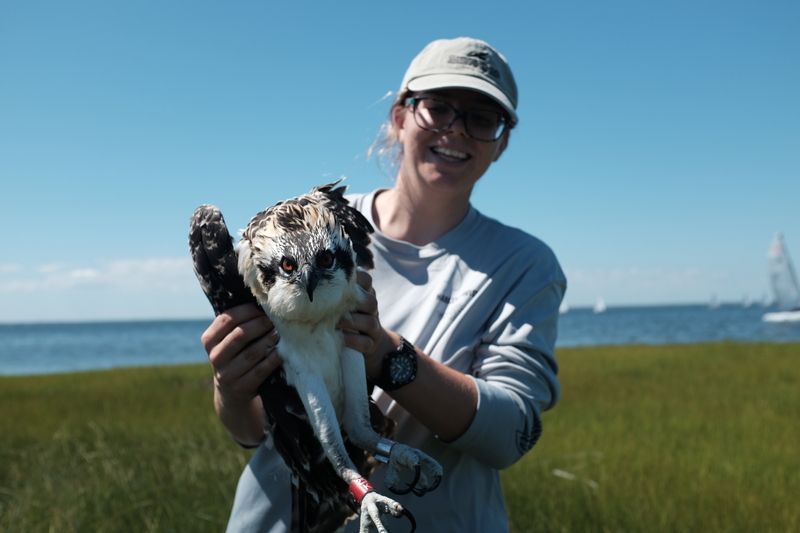 You do such amazing work, not only with monitoring the ospreys, but with educating the public. Thank you for all you do!